I have the same problem as is described here but that question doesn't have an answer and its OP doesn't seem like they will ever answer the arisen questions. I installed google-earth-pro-stable_current_amd64.deb via sudo apt install on Ubuntu 16.04 64 bit. Deleting ~/.xinputrc didn't change anything. When I log into a different account (account on my machine, that is – I don't think the commenter meant a different Google account (I didn't log into any Google account)), I experience the exact same problem. It's not like a glitch which occurs for a few seconds and then vanishes. Google Earth just isn't usable because the map never shows up. It always shows the controls, part of the splash screen, and whatever was in the background when the application was launched. Using gdebi didn't resolve the problem either. Neither did using the 32 bit version. 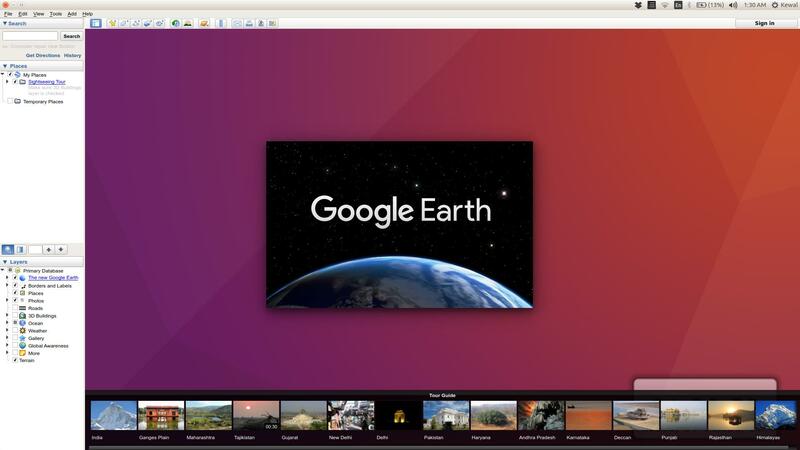 This will successfully install a compatible version of Google Earth for your system. 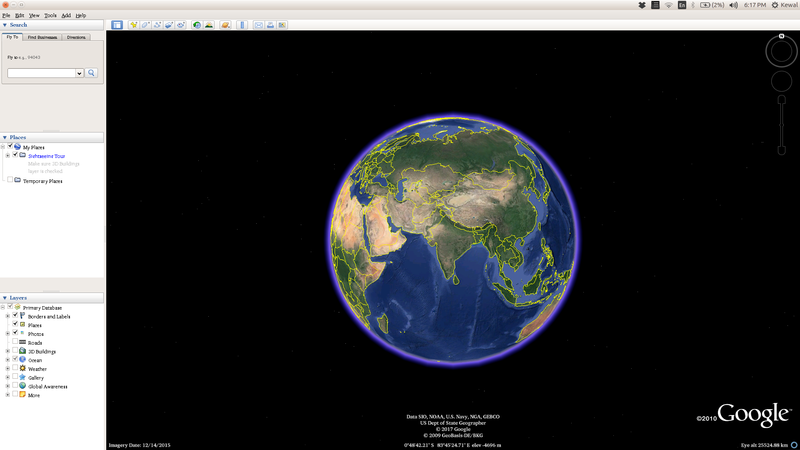 The latest versions of google-earth-pro are not compatible with GNU/Linux drivers for newer graphics hardware. Uninstall the latest google-earth-pro version, then download and install google-earth-pro-stable_7.1.8.3036-r0_amd64.deb from a private repository, as suggested here. In the Synaptic Package Manager, select Packages → Lock Version to prevent future upgrading. If the xserver-xorg-video-intel package is in use, and your Intel integrated graphics is rather new, simply uninstall it and reboot. Options for uninstalling a package when apt and dpkg dont work? How can I fix a Google Earth 6.2 installation that went bad?